Fresh granola for breakfast! How sweet and yummy it is! This recipe is a healthy alternative to cereals or granola that you buy commercially AND you know exactly what is in your cereal and can pronounce all the ingredients. 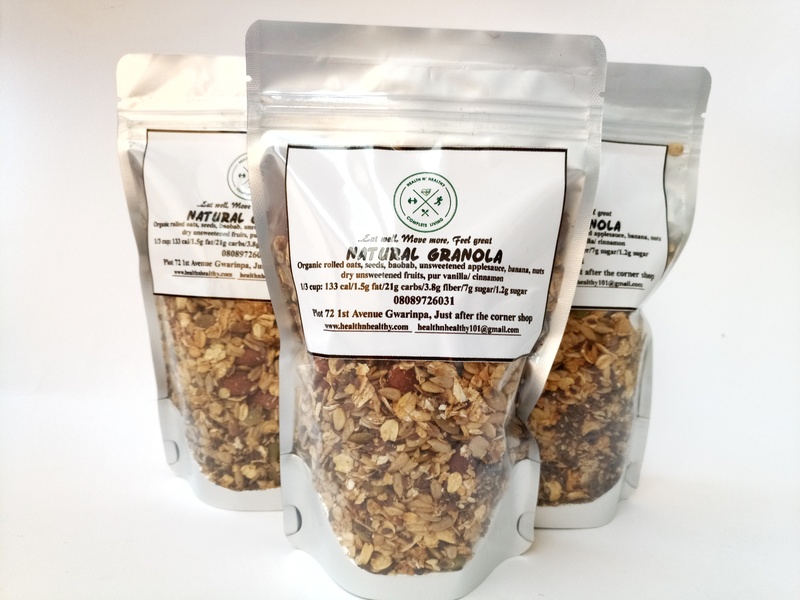 You can use organic ingredients and make as gifts for family and friends that love granola. A scrumptious blend of gluten free organic rolled oat, unsweetened applesauce, sunflower seeds,sesame seed, flaxseed, chia seed, nuts, crushed almonds, cinnamon and a touch of pure vanilla. Try warming it up as your morning oatmeal or sprinkle on top of your favorite yogurt or ice cream.